It has been a while since I last posted a review of Revolution. 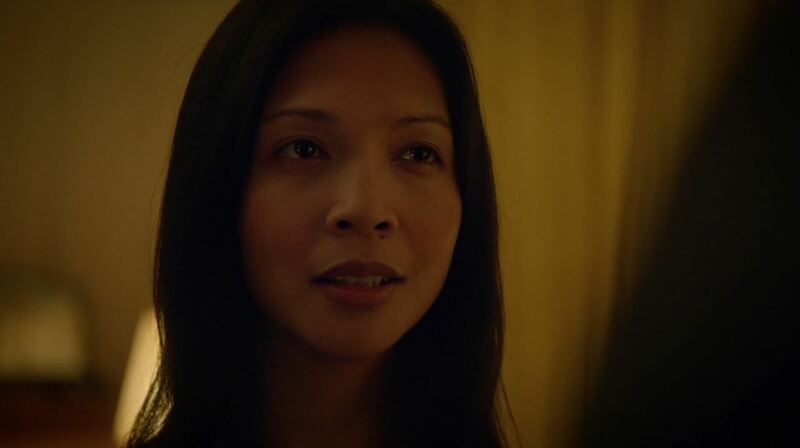 The show has seen a remarkable improvement in quality during its second season. However, a 22 episode season is also far too long. 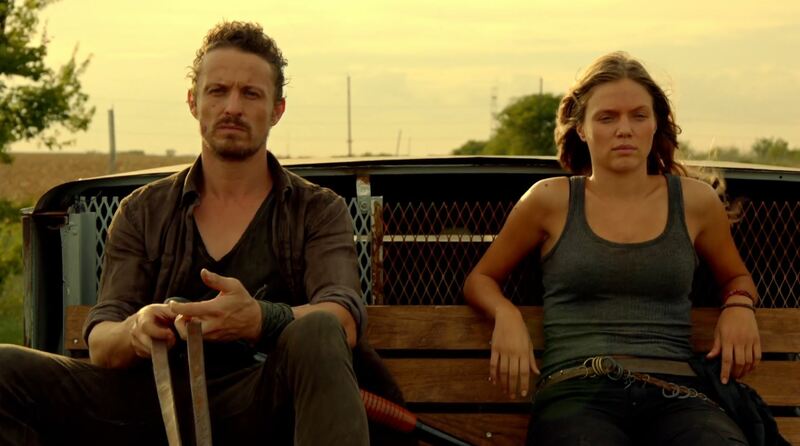 The second half of season 2 saw the storyline slowing down and becoming repetitive. Only now that we are moving towards the season finale is it moving forward again. Season 2 also suffered from the lack of intriguing villain. Somehow, despite the mean cruelty of the Patriots they lack… well, epicness! 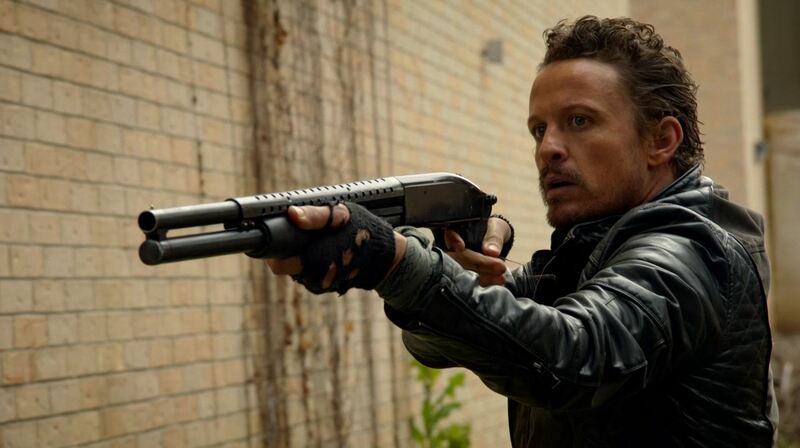 There is nothing like seeing David Lyons as General Monroe ordering his helicopters airborne to crush the rebels like we saw in season 1. That quality has been missing from season 2 which along with a decline in special effects feels to have a much smaller scale. Tomorrowland begins with the Patriot Truman being called back to the Whitehouse to explain why he failed to ferment war between Texas and California. 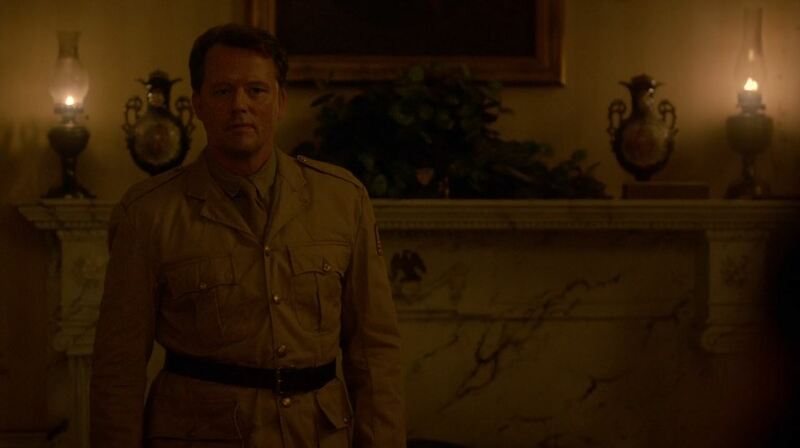 In the Oval office before the President Truman discovers that his superior Roger Allenford has been executed in the chair he is supposed to sit in now. In a rare case of courage Truman blames the debacle on the President himself. He blames him for sending people like Allenford to Willoughby to control his operations but who end up making a mess of it. The President seems impressed and spares his live. Truman returns to Willoughby with more Patriot soldiers. They are armed with Mustard gas. The woman whom Truman lives with discovers a gas mask in his room and fears the worst. Two episodes before we saw Jason being killed in self-defense by Charlie. In the previous episode we saw Tome Neville forgiving Charlie and putting the blame on Monroe and Miles. Despite having relative few scenes this week his were by far the most important. The Patriots attempt to end their relationship with Tom by sending over a messenger to kill him. Tom manages to turn the tables on him and during his later torture reveals that Tom’s wife Julia is dead. After disposing of this Patriot Tom swears revenge on The Patriots and confronts Monroe and Connor to do just that. 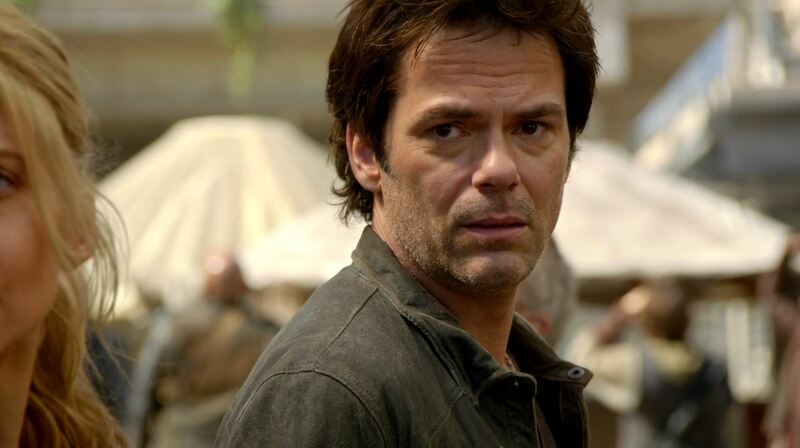 Meanwhile Monroe, Miles (Billy Burke) and the rest of the gang have to deal with The Patriot attack on their camp that has left everybody but them dead. Now with no hired guns their chance to take on the Patriots and take the Monroe Republic back is slim. Monroe swears revenge for the attack and vows to use the mustard gas used by the Patriots against him. Miles deceives Monroe by taking the gas from him as he doesn’t want it use against Willoughby. Miles asks why Monroe wants the Republic back. Monroe replies that he has changed and bring peace to the eastern seaboard. He further states that he knows that there are still plenty of Monroe republic soldiers in groups waiting for his return. Miles states that he thinks Monroe has not changed at all and the two-part ways. Aaron has to deal with his ex-wife Priscilla being taken over by the Nanites. The Nanites slowly come to grips with the nature of humanity and Aaron is afraid what the consequences are. 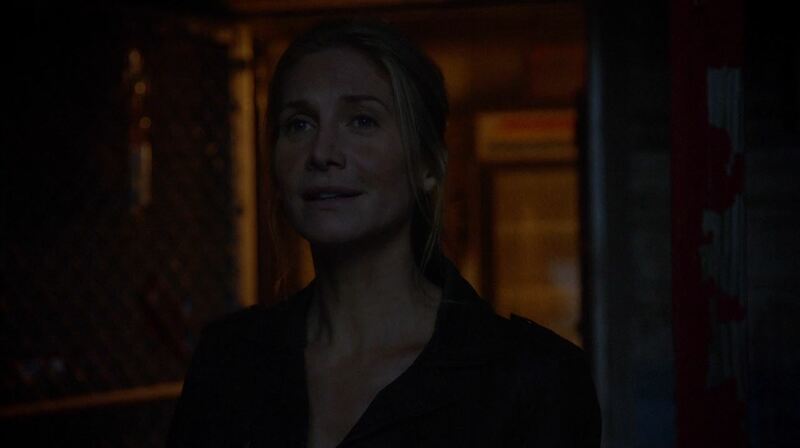 Slowly Rachel (Elizabeth Mitchell) starts to realize that something is amiss with Priscilla but doesn’t ask about. Aaron tries to convince in vain for the Nanites to return Priscilla. The episode ends with the Nanites recreating an idealized sub-urban family environment including dead Patriot soldiers used as props. In the last scene of the episode Miles conferred with Rachel. He finally seems able to express his love for her as well as his need for her. He does warn her that things are becoming more dangerous. Score; 8.9 / 10. 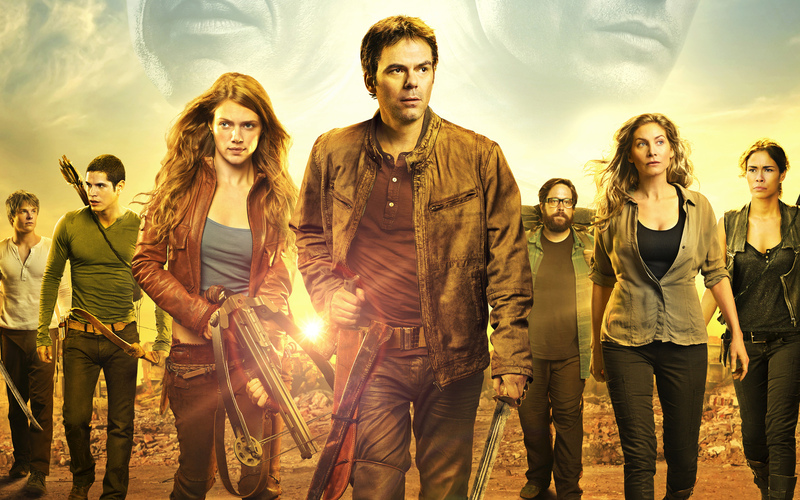 A good episode of Revolution that moves the story quickly towards the finale in two weeks time. Revolution will be back next week with the episode ‘Memorial Day’. 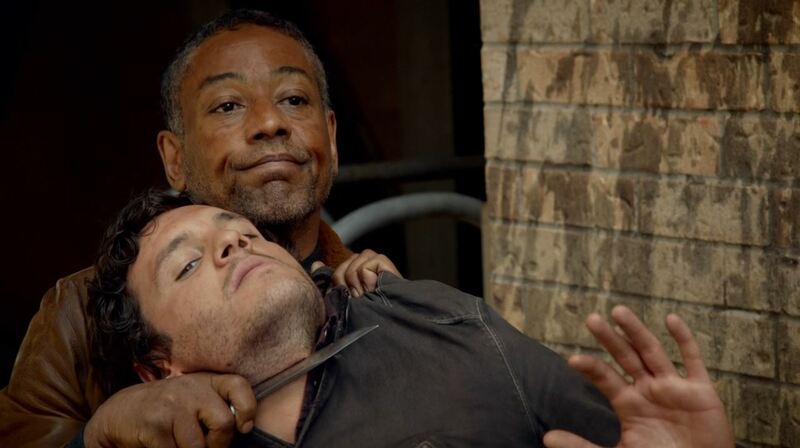 Revolution S2Ep4 ‘Patriot Games’ review!